Principal designer Ben Shearer explores strategies for getting kids off digital devices and back into the great outdoors. 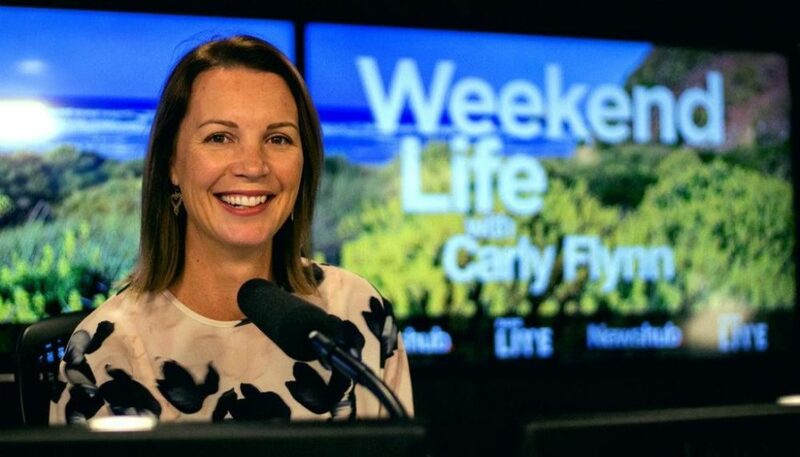 With summer holidays around the corner, Ben was invited onto RadioLIVE’s Saturday Fresh with Carly Flynn to talk strategies for getting kids off digital devices and back into the garden. We’ve collated highlights below for you to read. As a parent, how can you start encouraging your children outdoors? Setting kids up for success is key and it starts with Mum and Dad. The earlier you can instill a love for the outdoors, the less likely your child will favour the indoors. Safety first. Before kids can crawl, create a safe, sectioned-off outdoor space ready for them to enjoy. In doing this, you’ve stopped yourself from fearfully helicoptering around your child if they do go to crawl outside. You’re now able to encourage them to explore the grass and dirt between their fingers and toes. Create shade. This’ll mean longer hours outdoors. The cantilevered, brightly-coloured umbrellas from Shade 7 are fantastic and such high-quality. Install a hose so kids can easily be rinsed off before coming in. I have an outdoor space and I’ve had a few ideas as to what the kids would like, but where do I start? An area kids can play with their friends. Once you’ve established your needs, then think about the features that’ll support these needs. Sandpits make for fantastic solo child’s play. A strip of shaded, artificial turf is kind on little hands and adult knees. Kids and their friends could be entertained for hours on end with a playhouse. Adding bells and whistles each year, choose wood over plastic. What are some luxe and less options for kids of different ages? *Playhouses – could yours do with a refresh? Consider blackboard paint walls, astroturf the floor or add a captain’s wheel.